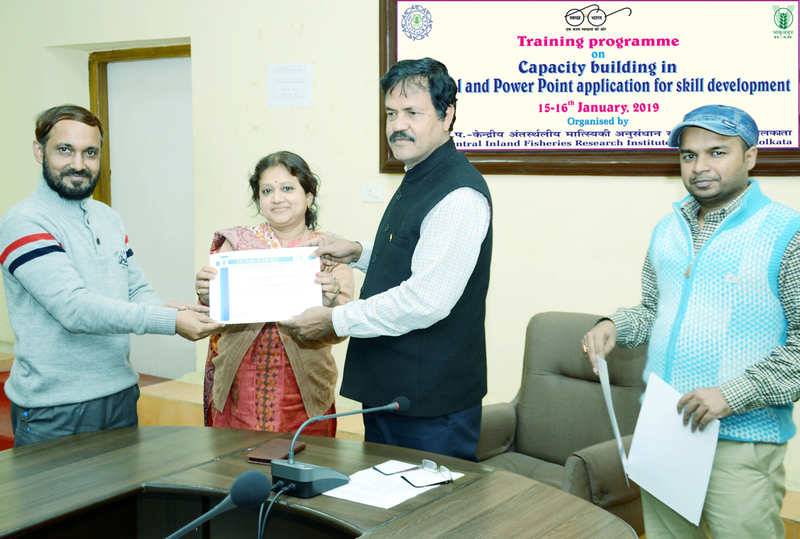 A training program on “Capacity building in MS Excel and Power point application for skill development” was organized at ICAR-CIFRI, Barrackpore, during 15 th – 16 th January 2019. The objective of the training programme was to provide the participants a systematic way of documentation, data compilation, basic analysis and presentation of the institutional work in efficient manner. A total of 18 participants (4 females and 14 males) comprising Technical officials (8 no.) and Administrative staffs (10 no.) 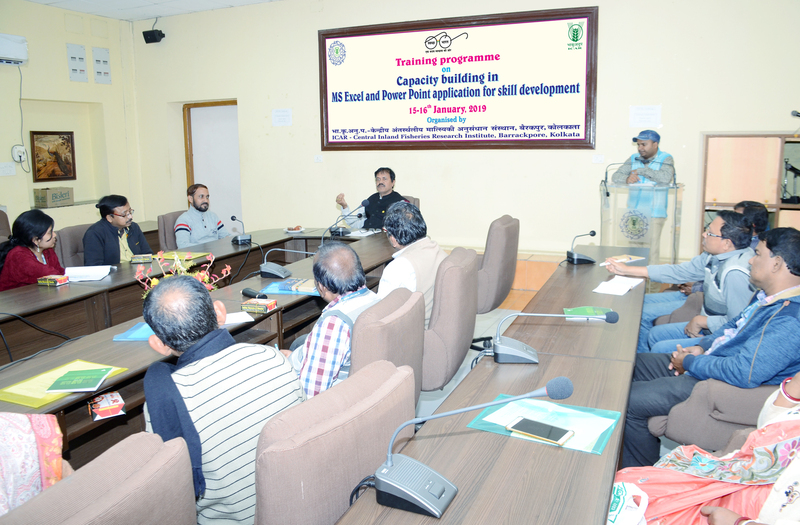 from ICAR-central Inland Fisheries Research Institute, Barrackpore attended the training programme. The training program was designed to upgrade the skills of technical and administrative officials and get familiarise with the computer applications such as Microsoft Excel and Power point presentation. On 15 th January 2019 the training was started with registration of participants followed by inaugural function. The training course was designed with theoretical lectures followed by hands-on practical on Excel and Power point. During these two days training programme the lectures were delivered on the topics such as introduction to Excel and its applications, mathematical formulations and graphics, Power point basics and its working features. The programme was ended with the valedictory function and certificate distribution among the participants by the Director Dr. B. K. Das. The programme was coordinated by Dr. Rohan Kumar Raman.